This video by subMedia is re-posted from dissident voice. I have not rocked out a mash-up in quite some time, and I forget how much I enjoy it. 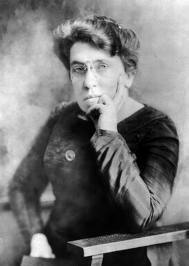 This one is for a new track by anarcho-rapper MC SOLE with beats by DJ Pain 1 in an homage to the legendary american anarcho-feminist Emma Goldman.